Being in front of the room speaking is better than being at the back of the room listening for building your network. Why? When you are at the front of the room speaking everyone wants to know the speaker and this can lead to new clients and business. See some tips on Good Speaking Skills from Toastmasters in the video below. It is important to identify partners who can offer complimentary services to yours. This allows you to host workshops for you and your partners clients. When you do this you know you will be in front of people who want your services, what else do you need? Once you have identified your ideal client, you need to understand where your clients gather. Find groups where your ideal clients meet and contact them and explain what you have to offer. Provide the group organizer with information on your speech, a biography and photograph. Once you are booked make sure you fully understand what is going on at the event so you can prepare. Your speech needs to deliver value to your audience. Fill your speech with benefits, tell stories, give tips and advice. Weave in three compelling , memorable sound bites – short, catchy phrases that will catch your audiences attention. Practice your speech so that you can give it without notes. Do not memorize it, memorized speeches sound robotic and cold. If you feel nervous go to the restroom and loosen up. Use mouth exercises and physical movements. Make sure you make eye contact with various parts of the room so everyone thinks you are talking to them. Always take the microphone when offered, it adds authority and helps project your voice and keeps the audience engaged. Speak clearly and with confidence. Remember you are the expert. Be enthusiastic and create verbal pictures. Tell compelling stories that the audience can relate to and that show how you solved the problems that they are facing. After speaking, make sure you follow-up with anybody you met who wanted to follow up with you. You should do this within 24 hours. If you don’t speak to them, make sure you leave a voice mail saying you are following up with them after you met them at your speaking engagement, your message should be clear, enthusiastic and positive. If you enjoyed this article on speaking, be sure to sign up to receive updates from me. So one of the books I have be reading recently for my personal development is Shawn Achor Book The Happiness Advantage and in his book he turns the usual doctrine on itswith regard to Happiness. This is a mindset book that will help you get to a better state. The normal doctrine is do the hard work and you’ll be happy. Achor talks about The Happiness Advantage 7 Strategies to be more successful and fulfilled in your life. He discusses the studies that have shown that happy people work harder and achieve better results than people in a hostile work environment who are unhappy and are less productive in the work environment. A lot of research has been done around the average since this is the basis of understanding the average human behavior. The alternative approach is to research the outliers, especially the positive ones. The Happiness Advantage is the first principle and says that people who are happy have a psychological advantage over people who are unhappy. By getting into the right mindset you can become more productive and fulfilled. In Shawn Achor’s principle, the fulcrum is the mindset of the person; the length of the lever corresponds to the potential power and possibility that person believes he or she has. If someone moves the fulcrum in the right direction by adopting a more positive mindset, the lever of possibility lengthens, which leads, as empirical studies have shown conclusively, to an eventual positive outcome. We all have times when we experience defeat, setbacks, crisis and stress. I know from my own experience that my stress levels have been high. In the book Shawn talks about the ABCDs to deal with these situations. We will all be better or worse at this but it is worth practicing. Adversity (A) is the situation that happens that we have no control over. The Belief (B) is how we react to this event and what we believe about the particular event. If we think it is temporary in nature and we think there are ready solutions then we have a positive Consequence (C). On the other hand if we believe it is permanent and we feel helpless and suffer from inaction it shows a negative Consequence. It is this event that brings in the need for Disputation. This involves you telling yourself it is a belief and not a fact and can be challenged. Psychologists always recommend that we externalize this voice. It becomes like arguing with yourself and allows the event to be rationalized. The statement that things are never as bad as they seem is actually a fact based on our Fundamental biology. I bring up Network Marketing as if you are in this type of business the Happiness Advantage should be a really important concept if you are wanting to be successful. Mindset is everything and this mindset book has some very powerful concepts to get you and your teams to be much more successful. If you practice attraction marketing or are interested in that approach then taking on the philosophy of the Happiness Advantage can definitely help you with your mindset. To learn more about the Happiness Advantage and how it can improve your mindset contact me HERE. I would recommend anybody to read the Happiness Advantage and learn how you can adopt the right mindset to become more fulfilled and successful. Everyone when they start their business starts at the bottom, Michael Dell, the owner of Dell computers washed dishes and Sandra Bullock, the actress started as a bartender. So just remember that as you start your journey on your home based business you are starting like most people at the bottom. You will hear time and time again the money is in the list. It is this list you need to build. This is a good statement to remember if you are going to be truly successful in network marketing. There are some key areas you will need to invest some money in to create your presence on the internet. Most of these can be built for a very low cost. These few areas discussed below give you the basics for starting your business online. First you will need a Web SIte to host your blog and your capture pages. You will use your capture pages to capture people’s names and emails for your Business Opportunities. This is how you are going to create your list, when you have 20 plus leads a day your business will transform. This is the magic number than equates to 2-3 people joining your business each week. There are many tools and programs out there that allow you to build capture pages for your business. Please contact me to learn more about these tools and programs that can help you build capture pages and web sites. The best way is to go to my contact page and fill in the form and put web site in the details box. To get a Web site you can get a domain with service like Go Daddy. You can search for domains and register one for about $10. Use a hosting service such as Go Daddy, Hosting Gator etc. You can even find Free Website Builder services and eventually you can learn how to do Website Optimization, but don’t worry about that to start with. You need an auto-responder as a way of capture those email addresses which is your list! The auto-responder can be used to send E-mails and the auto-responder handles all the subscribing and unsubscribing so you don’t have to worry about the Spam laws! Auto-responders are also low cost in the range of $10-$20 a month. Your own Blog is all important, this is where you are going to deliver value and place calls to action without being overtly sales like. The Blog will also support your Social Media strategy as your articles will be published to your social media sites. Although the articles will disappear down the news feeds they will always be there on your blog. 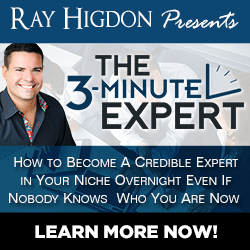 You should check out Top Blogs by people like ray Higdon for ideas. You need to pick a social media platform when you start and focus on that. As you get more experienced you can branch out into multiple platforms. When you start to use a platform such as Facebook don’t be tempted to go spam everyone otherwise you could end up in Facebook Jail and worse still nobody will be interested in your posts. You need to build relationships with people on line, talk about different things not your opportunity. It is just like if you are face to face, you build a relationship and show interest in the other person, just in a digital form. Video is powerful and allows potential prospects to get to know and trust you.Finally use video not just on your YouTube or Vimeo channel but place videos on your blog or your social media sites. By having your video’s on YouTube and Vimeo they can also point people back to your web site. Video brings you closer to your prospects. It is funny in this day and age of technology people forget how much communication between people is based on Body Language. With just 7% of communication being the words and 55% of communication being Body Language it is important to understand what you are communicating and the messages you are sending. This raises another important point for all you Internet Marketers, and that is video. Attraction Marketers like Diane Hochman talk about the importance of video so people will “know you” as they have seen and heard you. There is another aspect of video which like face to face is important and that is your Body Language. Do a video with your arms crossed and what impression do you think you are sending? There are some basic desires of the human, to be liked, to be understood and to be heard. When you are communicating with someone you need to be able to fulfill these desires, mostly non-verbally. If I look at some of the decisions my teenagers make, it is driven by one of those three desires. From a very young age we all have a desire to be liked, when you started at school as soon as another kid smiled at you they were your friend! This simple act of smiling attracts people and shows you have an interest in them and from there the bonds of friendship grow. Deep down regardless of where we come from or our experiences we have a burning desire to be liked, but getting people to like us is a more unconscious process, than perhaps you think. The people we like most are the people we have more in common with. If you look how most job recruitment happens, people hire people who are like themselves. Having worked in companies across the world I can assure you this is exactly what happens. People like people who behave like themselves, sound like themselves, speak like themselves and when they look at these people they see themselves in that person. Most of this is happening sub-consciously, so do opposites really attract in the human world? Raised Eye Brows and Open Eyes – This shows openness and interest in the other person. When we are physically attracted to someone our eyes are wider and our pupils dilate! Smile – This shows you are friendly, happy and interested in the person you are about to talk with! Pointing the body – Facing your body towards the person you are talking with shows you are open. You should have your shoulders, knees and feet all pointing towards the person you are talking with. Touch – Touch always helps to create a bond, as touch triggers release of endorphins in the brain which helps us feel better and give us energy. The desire to be understood is huge and if you have ever been in a foreign country and have tried to communicate in that country’s native language you can struggle. You become frustrated, maybe angry and have some pain at your inability to be understood. As with the desire to be liked, sending the right non-verbal queues is important. You need to make sure you are pointing towards the person you are speaking to, you are focused on them, you are looking at them and of course you can make physical contact, like a handshake. The other key point is to control your speech, how fast you talk, how clearly you pronounce your words and make sure you are looking at the person you are talking to. I have been in many countries and have experienced this first hand, when I was in Japan I had to face the translator so she could properly translate for the other people in the room. Why I mention this is because it was strange not to face the people you came to meet but to face the translator. With the desire to be heard you are wanting to make sure the person you are talking to feels they are being heard. There are several techniques you can employ to make sure the person you are talking with achieves this desire. You want to make sure you keep constant eye contact when they are speaking, if the place you are in is loud, lean in closer to the person you are speaking with, this shows you are paying close attention. Every few minutes you should nod and smile and encourage the person with words of praise and always encourage the person to continue. Finally, if you have a question, don’t interrupt, but raise your index finger to the outside of your lips and when the person looks at you and pauses you can ask your question without being rude or interrupting. If you want to learn more about communication and marketing success contact me HERE and receive a FREE list of books that are worth reading on the subject of Communication and Body Language. I was looking through my library of business personal development books the other day and came across “The Trusted Advisor” by David Maister, Charles Green and Robert Galford. I have not read this book since my days working for a software company in their services division. Although printed in 2002 the concepts are all very valid and apply as much today as they did when the book was written. Perhaps more so now if you want to differentiate yourself from the crowd. The book talks about what is needed to build trust with customers and potential clients. Regardless if that client or customer is in another company , an individual or another department within the company you work for without Trust you have nothing. This book gives some fundamentals on how to build trust with your client or customer regardless of what role you are in.Why mention in here, well it has some very valid points on building Trust and in any business building trust is paramount. In the book there is a five stage process to build trust. It is very similar to Attraction Marketing Techniques and having the mindset to focus on the other person, understand their problem and offer them solutions and not just try pitch them your product or service. With Attraction Marketing you want people to come to you first, as they trust you and they know you can help them find a solution. Before we discuss the 5 steps to in building trust lets quickly look at the mindset that is needed. Firstly you need to focus on the other person. Some people think this sounds strange, but if the customer gets what they want the chances are you will get what you want. You need to be self-confident in your interactions and have the strength not to jump to the answer (sales pitch) too quickly. You cannot get embroiled in the culture of taking credit and giving blame but rather be focused on the matter at hand and getting the results that are needed, the book describes this as Ego-Strength. The trait of curiosity is all important, without curiosity you will never fully understand your clients problems or needs. The final piece of mindset is professionalism and I don’t mean wearing a suit and looking professional but by aligning yourself with your client to improve their situation. So the 5 steps to building trust are detailed below and I have seen these in many guises but fundamentally this is where you need to be to have a customer Know, Like and Trust you. Engage – By engaging you need to ensure you customer is willing to talk and has an issue that is important for them to solve right now. You can talk all day long but they need to have the motivation to take action. Listen – You have 2 ears and 1 mouth use them in no more than that proportion, you need to listen and understand what your customer needs and understand their pain. Frame – By framing the problem, the problem or issue is defined which helps build trust and allows you to understand how you can help or propose solutions. Envision – This is not providing a solution but understanding the end goal and what the solutions should look like. This is a collaborative process with your customer. Commit – During this phase you and the customer are understanding exactly what is going to be needed to be done to achieve that goal. This provides a trust driven process to solving the customers problem and will lead you to achieving the goal of providing a solution for the customer. Regardless of the Business Opportunities you are pursuing from Corporate America down to the home based business there are great nuggets in this book and I would recommend anybody to give it a read. To be successful you need to be aligned with your customer and they need to Know Like and Trust you. Without these you are never going to grow your business with a client. You will be far more successful in your business if you follow these ideas, regardless of what badge you put on it!